As we find ourselves edging ever deeper into December, the wintry weather is well and truly in full swing – and we’ve had the heavy snowfall to prove it. Once again, the nation is bracing itself with the high street about to become terrifyingly chaotic, before falling eerily still again for 24 hours on December 25th. While the Stratford shops will be closed on Christmas day, we’ll be opening our doors to all between the hours of 1pm & 11pm, as we serve up a variety of winter warmers from both our main & Sunday Roast menus for you to indulge in. The sight of deserted London roads is also a spectacle too magical to be missed! As a family-run restaurant, we understand that the chance time together as a family over the Christmas period is one of life’s most precious offerings and, while beliefs and traditions may vary, this is something that we can all appreciate. It’s a great opportunity to reflect back on the last year, be thankful for the positives and learn from the not-so-positives as we look forward to the New Year that lies ahead. For those that fancy a classic Sunday dish that perfectly fits the festivities, we’ll be serving up your choice of tender Roast Beef or succulent Roast Chicken alongside all of your favourite trimmings, including crunchy roast potatoes just like mum’s, Yorkshire puddings with extra-yum, and a selection of fresh vegetables. There’s something for the non-meat eaters too and our Vegetarian Shepherd’s Pie is definitely, in our humble opinion, worth flocking to our Stratford restaurant for. We’ll also be offering the same menu in smaller portions for our younger diners, with the extra treat of silky ice cream for afters. 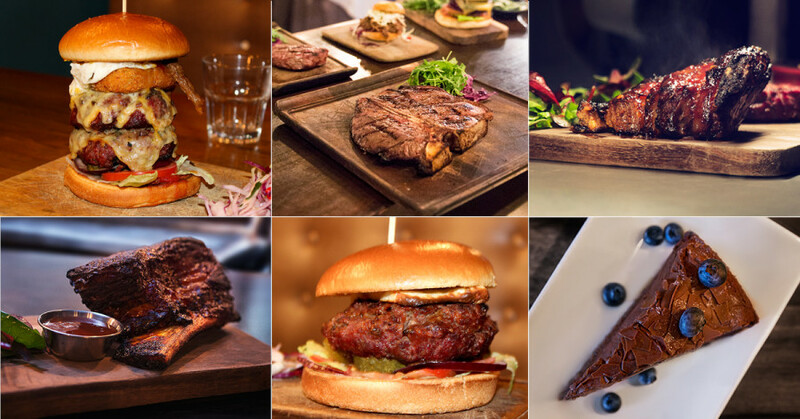 If you’re in the mood for a slightly less traditional Sunday treat, our main menu will be available in its entirety, offering a full complement of treats guaranteed to tease your taste buds, whether that’s in the form of a succulent steak or an extra-beefy burger. We’d argue that it’s the perfect opportunity to get stuck into the HS&Co Challenge Burger while you’ve got a full day off to recover afterwards! Consisting of a monstrous double-stacked patty topped with pulled beef, extra cheese, hash browns, a fried egg and finished with sticky BBQ sauce, this tower of treats is not to be missed! We’re expecting to experience busy periods, so we’d recommending reserving your table in advance, particularly if you’re part of a larger party. You can do so by filling in our online booking form below or by calling us on 0208 555 3322. If you’d rather say hello in person then we’d love to do the same – you’ll find us at 405 High Street, London, E15 4QZ. Best wishes to you and your family for the New Year ahead.